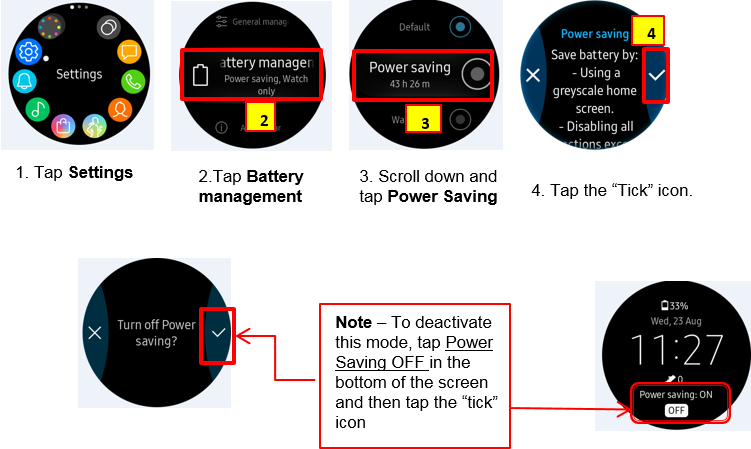 Gear Sport: How do I set the power saving mode on Gear Sport? • Deactivates features, excluding phone, messages, and notifications. • Deactivates the Wi-Fi feature. • Limits the performance of the Gear’s CPU.